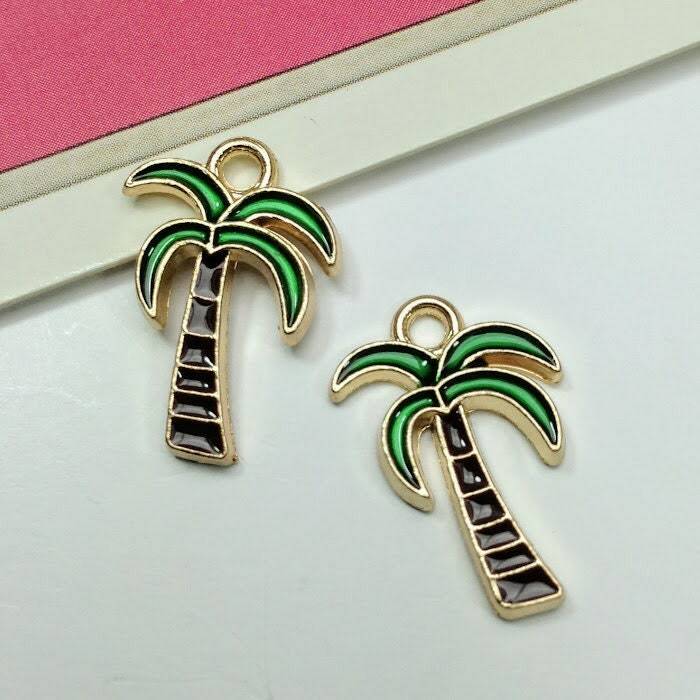 2 enamel palm tree charms, perfect for hanging from earrings, a necklace or bracelet. 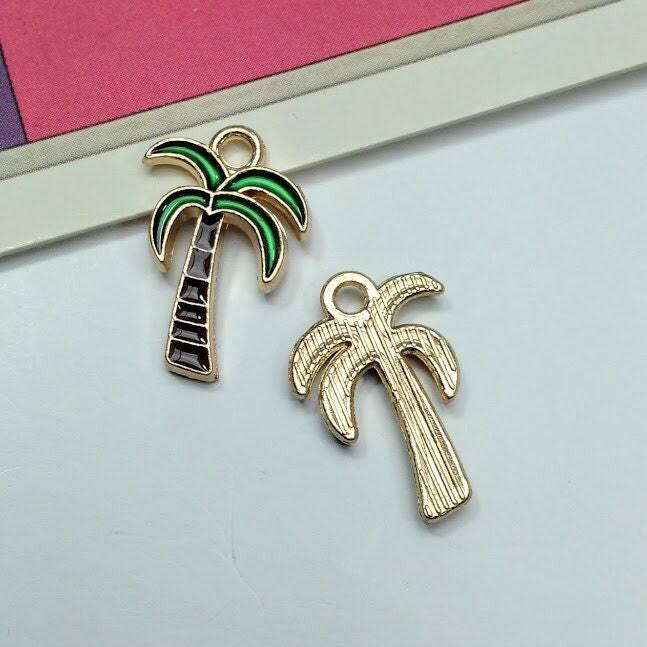 These mini tropical charms are perfect for using to make kitsch accessories. 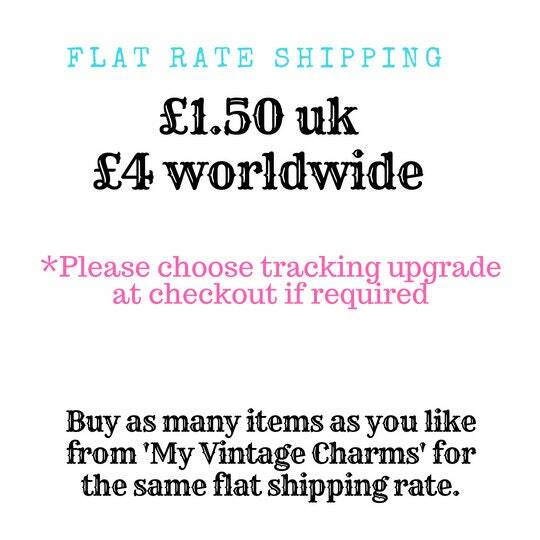 They have enamelled fronts and shiny gold tone backs.